Diagnostics are now available on the web server showing the system restart log, route changes, I/O module digital output and the ability to capture additional data in the event of a firmware problem. Improvements have been made to the DNP3 protocol handling, by improving issues surrounding binary output commands, DNP3 class poll requests and adding a number of enhancements to performance. Kingfisher RTUs support DNP3 peer-to-peer communication applications. This allows local communication between two DNP3 devices, so that in a scenario where SCADA is lost, the local Kingfisher RTU system will continue to function with no loss of events. 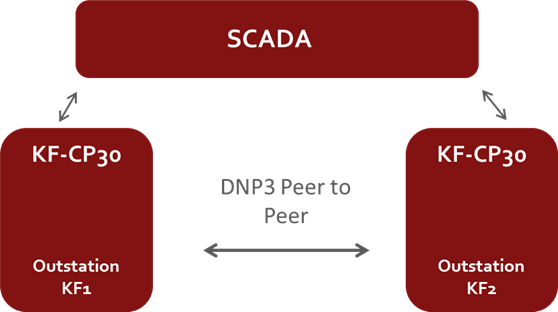 An application note for DNP3 peer-to-peer communication can be found here. Option I2 dual serial cards are now available for order. We have established a new online repair portal for return/repairs. This portal replaces the RA form which has been phased out. Please go to http://ra.servelec-semaphore.com to sign in to the portal. When placing an order for our Kingfisher products, if you require a specific version of firmware or driver, please specify the version number required on the purchase order. Otherwise, all Kingfisher products are shipped with the latest production versions. The Servelec Technologies support site provides access to all the latest downloads. Once logged on to the support site, you can use keywords to search for relevant articles to self-diagnose problems or to access application notes. A Toolbox32 training course (Standard two days with optional third day) for CP-12, CP-11, LP-3, PC-1, CP-21 is scheduled to take place during October 2017, at our Melbourne office. A ToolboxPLUS training course (Standard four days which covers Modbus and DNP3 protocols) for CP-30 is also scheduled to take place during October 2017 at our Melbourne office.